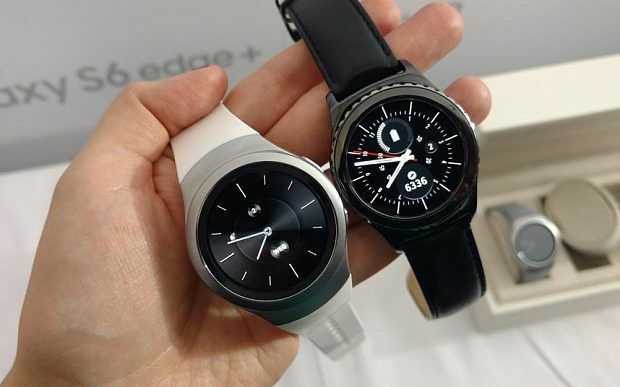 The Gear S2, will be available in the UK starting from the 12th of November. You can pick up the standard variant of the Gear S2, which comes with a dark grey or silver case, for £249. You can also pick up the more traditional looking Gear S2 classic for £299. It runs Tizen-based software, and features a 1.2-inch circular Super AMOLED display, a 1GHz dual-core processor, 512MB RAM, 4GB internal storage, Bluetooth 4.0, Wi-Fi b/g/n, NFC, a fingerprint sensor, and a 250 mAh battery. The Gear S2 is most intuitive smartwatch in the market right now, thanks to its rotatable bezel that can be used to operate the device. Unlike earlier Tizen-based smartwatches, the Gear S2 is also compatible with non-Samsung Android smartphones.